This is a very exciting time for bird watching in Norfolk. Migration gets under way in August and carries on all through the autumn into early November. A large number of birds pass through the region on their way to their wintering grounds further south. Significant numbers of other species, particularly waders and wildfowl, congregate here to spend the winter. There is always a wide variety of different birds to see and different places to explore. As usual, a wide variety of additional dates are available, both for group tours and private customised days. Group tours will operate on most weekends through the autumn, and additional single weekday tours may also be available, subject to availability and demand. We also offer the flexibility to pick only a single day, or choose shorter weekend or weekday breaks from within the longer tours. Please check the itinerary and contact us for more details. Waders usually take the stage first with Curlew Sandpipers and Little Stints, plus the odd rarity. In previous years, participants on Bird ID Company tours have seen exciting species such as White-rumped, Pectoral & Buff-breasted Sandpipers visiting from America. A variety of waders can be seen right through the Autumn, but specialised Wader Tours will operate in August and Wader Spectacular Tours to see the huge flocks of birds gathering on the Wash will run on suitable dates throughout the season. For more details on these tours, please see the separate Wader Tours page here. Early in the season, in late August or through September, is the best time for drift migrants from Scandinavia. If the wind comes from the east, particularly with rain or mist, large falls of songbirds can occur. 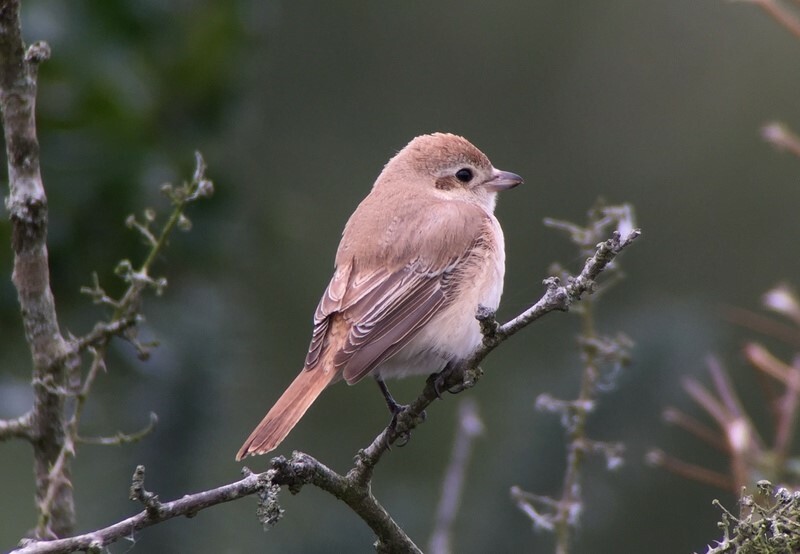 Redstarts, Pied Flycatchers and Wheatears often make up the common component, along with scarcer birds such as Wrynecks, Icterine Warblers, Red-backed Shrikes and Greenish Warblers from the near continent. From mid-September, regular visitors from the far-east can include Yellow-browed Warbler and as we get into October Pallas's Warblers are often seen. This is the most exciting time of year for Siberian vagrants. In previous years, rarities seen on these tours have included Red-flanked Bluetail, Richard's and Olive-backed Pipit, Radde's, Dusky, Arctic, Barred, Western Bonelli's and Hume's Warblers, Red-breasted Flycatcher, Long-eared Owl and Great Grey and Isabelline Shrikes. If the wind blows from the north-west, Seabirds take centre stage with large numbers of Shearwaters, Skuas, Gannets and Auks all possible. These can include scarcer species such as Long-tailed Skua, Sooty Shearwater, Leach's Petrel and Sabine's Gull, amongst the literally thousands of Gannets and Kittiwakes which may be flooding past offshore. Later in the autumn, Little Auks and Grey Phalaropes are both possibilities, blown inshore on strong northerly winds. As the Autumn wears on the geese return to Norfolk to over winter, including roughly a third of the world's population of Pink-footed Geese. Other species of geese can also be found, along with a variety of wintering wildfowl and waders. It is a real spectacle to witness the huge flocks of birds arriving from the continent. The Four Day Tours run from Thursday morning through to late Sunday afternoon with accommodation from the Wednesday evening. This includes 4 nights B&B accommodation, all transport during tour days to and from your base, guiding and packed lunches. The Three Day Tours run from Friday morning through to late Sunday afternoon with accommodation from Thursday evening. This includes 3 nights B&B accommodation, all transport during tour days to and from your base, guiding and packed lunches. Our tours are designed to be as flexible as possible. It may be possible to book any of the dates advertised as a Day Tour, or a shorter Weekend Tour, depending on availability. Our basic prices are detailed below. includes all guiding and transport on the day from a convenient meeting point. 2 Days / Weekend from £220 per person includes 2 nights accommodation based on Bed and Breakfast, all guiding, transport & packed lunch. 3 Days from £320 per person includes 3 nights accommodation based on Bed and Breakfast, all guiding, transport & packed lunch. 4 Days from £420 per person includes 4 nights accommodation based on Bed and Breakfast, all guiding, transport & packed lunch. As all accommodation is booked to order, final pricing will depend on the availability of rooms at the time of booking, and a single supplement may be payable. All tours are also available without accommodation, and it is very easy to add extra nights if required. Please contact us for a quotation. Prices are based on a minimum of two customers booked per tour. If there is only a single customer booked, pricing may have to vary by negotiation. We typically base these tours in Wells, well placed to explore the north coast of Norfolk and with many local shops and restaurants. We generally use a couple of small friendly Bed & Breakfasts. However, we can arrange alternative accommodation to suit your requirements and budget, if required. To book a tour please select your preferred date from the tours on these pages or the itinerary. It is advisable then to contact us first to discuss availability. You will then be required to return a completed booking form to us at the address shown. For guidance please refer to the booking page. Additional single weekday tours may also be available subject to demand. Please check the itinerary and contact us for more details.